Flashdance reminds me of a flashy disco dress....must be a trapped memory or something. Fun name, right? 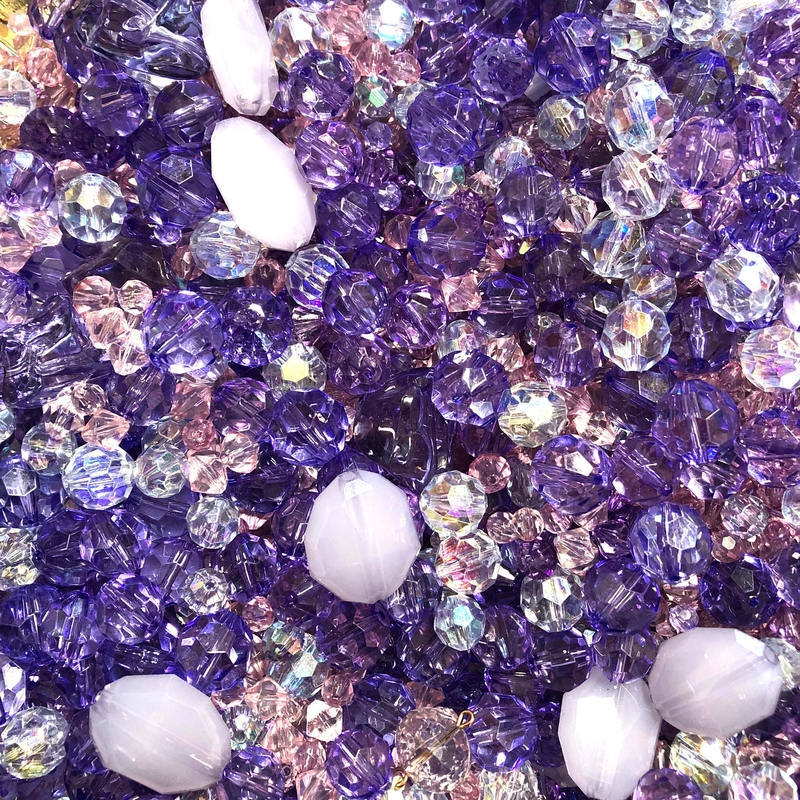 Tanzanite, lavender and very light, pale sapphire blue AB acrylics in lots of sizes and shapes. There is a tiny bit of rose pink mixed in. A very useful mix with lots of practical approx 4-12mm beads. This mix will completely delight you! 4.5 ounce packages, we weigh generously. Get them while they last! When our mixes sell down, there is no more of that particular type.